Golf Hatchback and Jetta Saloon (Mk 2) inc. 16-valve and special/limited editions. 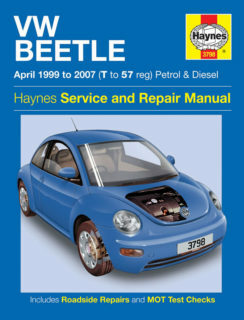 Petrol: 1.0 litre (1043cc), 1.3 litre (1272cc), 1.6 litre (1595cc) and 1.8 litre (1781cc). 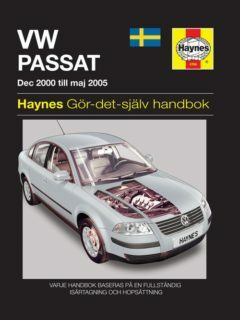 Does NOT cover Convertible, Rallye, Caddy or 4x4. 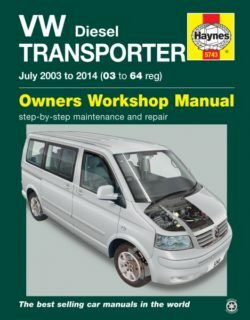 Does NOT cover features specific to Van. 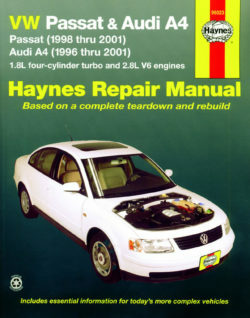 VW Passat 1998 thru 2005 and Audi A4 1996 thru 2001 for models with 1.8L four-cylinder turbo and 2.8L V6 engines. 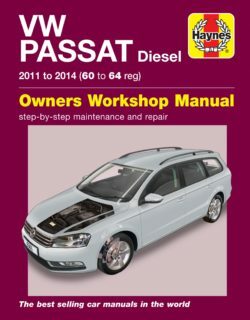 Does not include diesel engine, W8 engine or S4 model information. 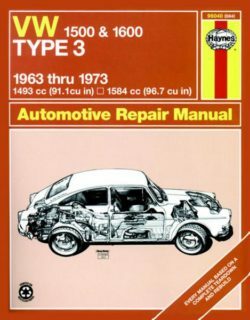 Notchback (Saloon), Fastback & Squareback/Variant (Estate) 1.5 litre (1493cc) & 1.6 litre (1584cc) PLEASE NOTE that this paperback reprint is a digital reproduction of the original manual. 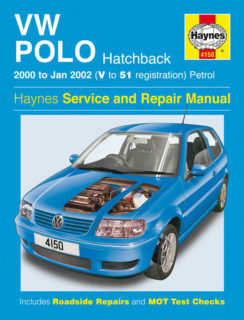 Hatchback (plus major mechanical features of Cabriolet), inc. special/limited editions. 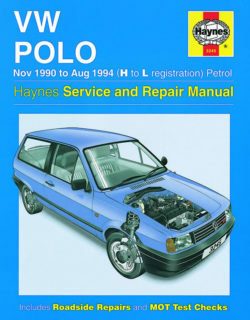 Petrol: 1.4 litre (1390cc), 1.6 litre (1595cc), 1.8 litre (1781cc) turbo and 2.0 litre (1984cc). Does NOT cover Tiptronic transmission. Does NOT cover 2.3 litre V5 engine. Diesel: 1.9 litre (1896cc) turbo, inc. PD. 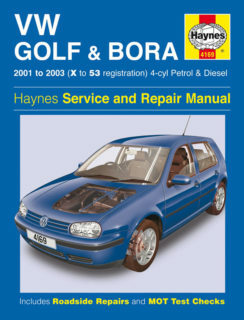 Golf Hatchback and Estate and Bora Saloon, including special/limited editions. Petrol: 1.4 litre (1390cc), 1.6 litre (1595cc and 1597cc), 1.8 litre (1781cc) and 2.0 litre (1984cc) 4-cylinder, inc. turbo. 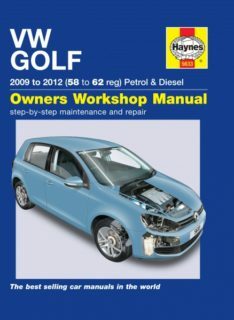 Does NOT cover V5, 4-Motion, R32 or Cabriolet models, or new Golf range introduced January 2004. 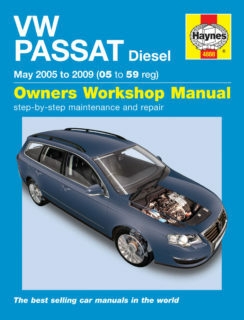 Does NOT cover 2.3 litre V5, or 2.8 or 3.2 litre V6. Diesel: 1.9 litre (1896cc), inc. turbo. 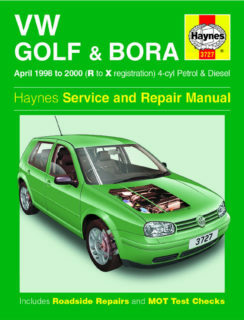 Golf Hatchback and Estate and Bora Saloon, inc. special/limited editions. 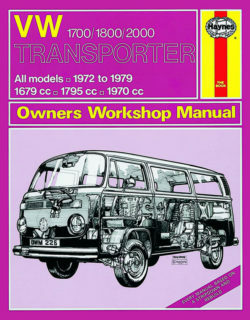 Petrol: 1.4 litre (1390cc), 1.6 litre (1595cc), 1.8 litre (1781cc) and 2.0 litre (1984cc) 4-cyl, inc. turbo. Does NOT cover 4-Motion (4x4) or Cabriolet. 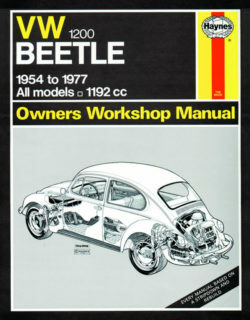 Does NOT cover 2.3 litre V5. Diesel: 1.9 litre (1896cc) inc. turbo-Diesel. 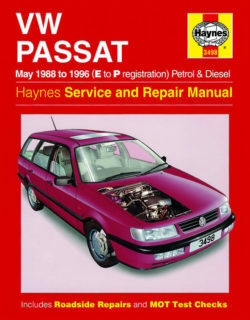 Does NOT cover 1.9 litre ‘PD’ engine. 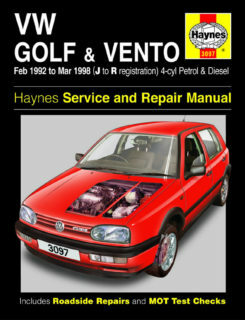 Golf Hatchback and Estate and Vento Saloon, inc. special/limited editions. Petrol: 1.4 litre (1390, 1391 and 1398cc), 1.6 litre (1595 and 1598cc), 1.8 litre (1781cc) and 2.0 litre (1984cc) 8- and 16-valve 4-cyl.Also covers Golf Estate to August 1999 and Saloon badged ‘VW Jetta’ in certain markets. 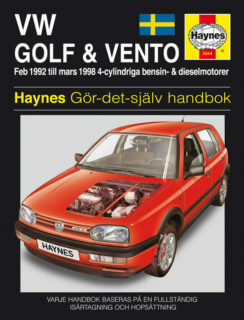 VW Golf and Vento framhjulsdrivna modeller med fyrcylindrig bensin- eller dieselmotor, inklusive specialmodeller. Behandlar huvudparten av cabrioletversionens mekaniska funktioner. 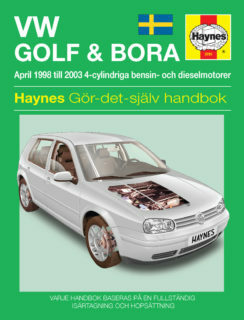 , 1390, 1391, 1398, 1595, 1598, 1781 och 1984cc, (inkl DOHC) bensinmotorer. 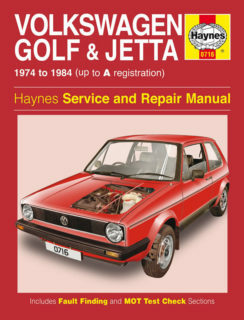 Golf Hatchback, Jetta Saloon (74 - 84, up to A). (74 - 82, up to X). Petrol: 1.5 litre (1457 and 1471cc), 1.6 litre (1588cc) and 1.8 litre (1781cc). Does NOT cover Caddy or Convertible. 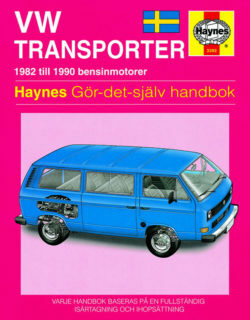 Sedan och kombi. 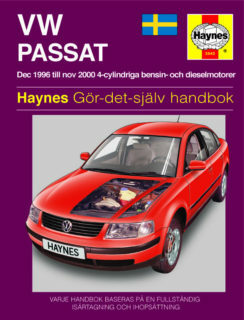 Framhjulsdrivna modeller med fyrcylindriga bensin- och dieselmotorer, inklusive specialmodeller. 1781 och 1984cc SOHC bensinmotorer. Saloon and Estate, inc. special/limited editions. 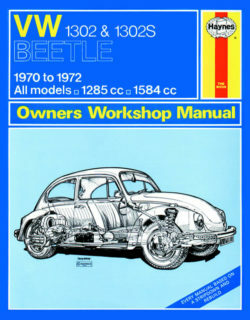 Petrol: 1.6 litre (1595cc) and 1.8 litre (1781cc) 4-cyl (inc. turbo). 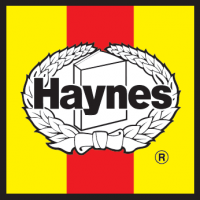 Does NOT cover new range introduced December 2000. Does NOT cover V5 or V6 petrol. Does NOT cover V6 diesel. Does NOT cover new range introduced Oct 2010. 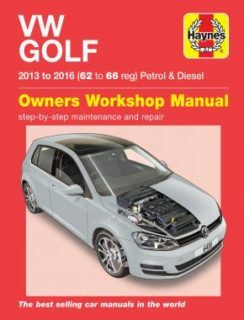 Does NOT cover 1.6 litre diesel engine, petrol models, 4-Motion or CC models. Saloon and Estate, including special/limited editions. 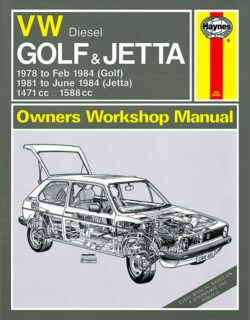 Petrol: 1.8 litre (1781cc) and 2.0 litre (1984cc) 4-cylinder, including turbo. 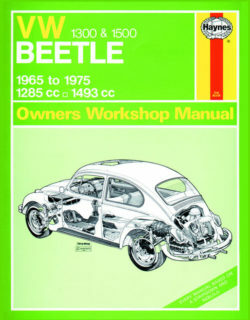 Does NOT cover ‘Tiptronic’ transmission or 4-Motion models. 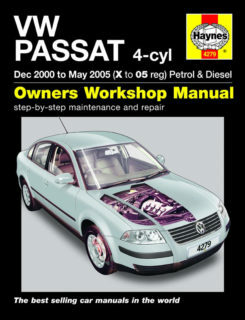 Does NOT cover new range introduced June 2005. Does NOT cover V5, V6 or W8. Turbo-Diesel: 1.9 litre (1896cc) 4-cylinder. Does NOT cover V6. 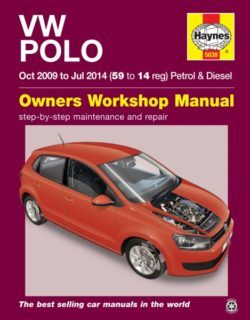 VW Polo models with petrol and diesel engines. 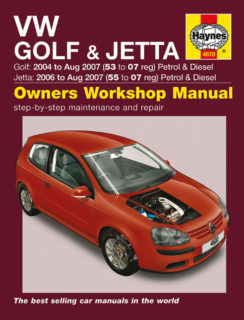 Petrol: 1.2 litre (1198 cc) and 1.4 litre (1390 cc). 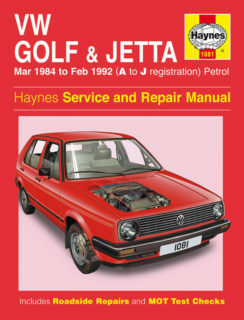 Petrol: 1.0 litre (999cc) and 1.4 litre (1390cc) (inc.16-valve). 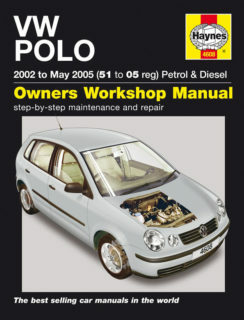 Does NOT cover GTi or Saloon (Classic), Estate or Caddy models or ‘new’ Polo range introduced January 2002. Saloon, Hatchback and Coupe, inc. G40 (supercharged) Coupe and special/limited editions. 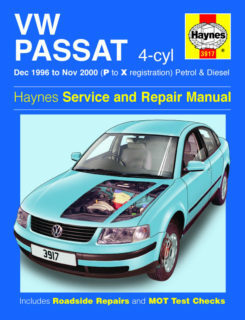 Petrol: 1.05 litre (1043cc) and 1.3 litre (1272cc). 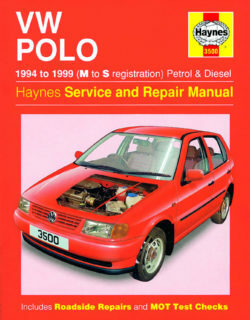 Does NOT cover revised Polo range introduced September 1994. 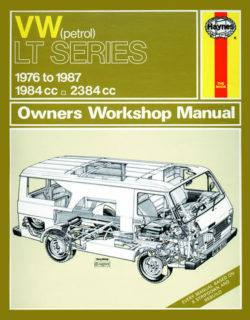 VW Transporter ‘T4’ variants with front-mounted diesel engines and front-wheel-drive Diesel: 1.9 litre (1896cc) 4-cyl, 2.4 litre (2370cc) and 2.5 litre (2461cc) 5-cyl. 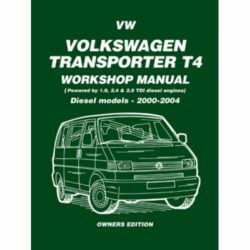 Does NOT cover petrol engined models, all-wheel-drive ‘Syncro’ models, interior features specific to Westfalia, Caravelle or Multivan, or specialist bodywork/camper conversions. 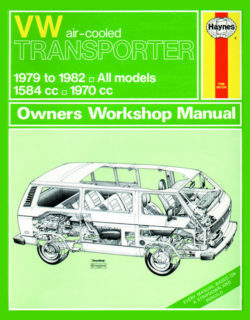 Does NOT cover Transporter ‘T5’ range introduced July 2003. Van, Pickup and Minibus (Caravelle) with water-cooled engines. Petrol: 1.9 litre (1913cc) and 2.1 litre (2109cc). 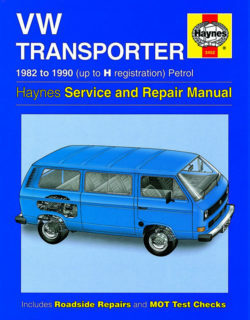 Does NOT cover Syncro or features specific to specialist bodywork/camper conversions. 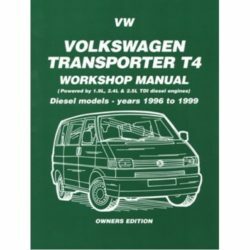 Covers all T4 diesel vehicles from January 1996 up to and including 1999, including Vans 800, 1,000 & 1,200, Caravelle CL and GL, Bus (long & short wheelbase). 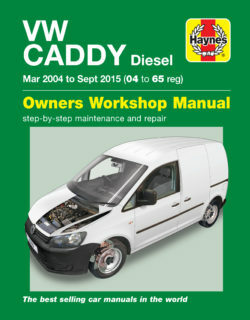 Engines covered: Diesel 1.9L, 2.4L & 2.5L TDI. 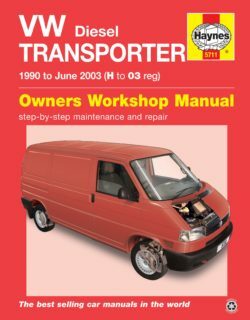 Sections on transmission, clutch, fuel, suspension, ignition, lubrication and cooling systems, steering, braking, electrics inc. 15 pages of wiring diagrams plus fault finding. 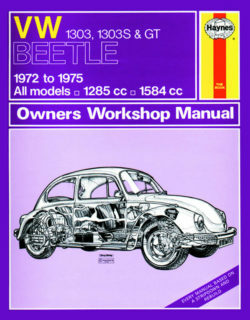 168 large pages and over 200 illustrations. SB. 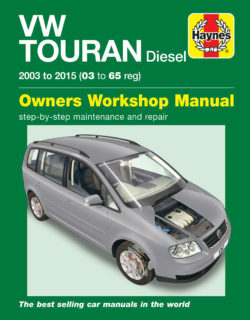 Engines covered: Diesel 1.9L, 2.4L & 2.5L TDI with a manual gearbox only not automatic. 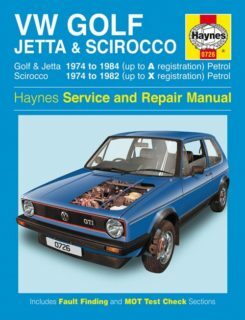 Sections on transmission, clutch, fuel, suspension, ignition, lubrication and cooling systems, steering, braking, electrics inc. 11 pages of wiring diagrams plus fault finding. 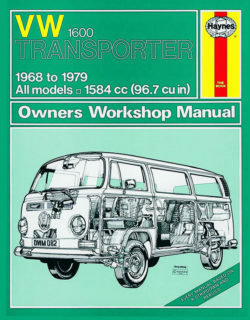 164 large pages & over 200 illustrations. SB.